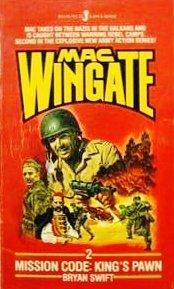 Billed as All Man, All American, Always In The Thick Of The Action, special agent and demolition expert Captain Mac Wingate needed eleven books to win the war single-handedly, but he did it…Published by Jove between 1981 and 1982 under the house name Bryan Swift, the Wingate novels are low level Guns of Navarone/Where Eagles Dare style WWII adventures. 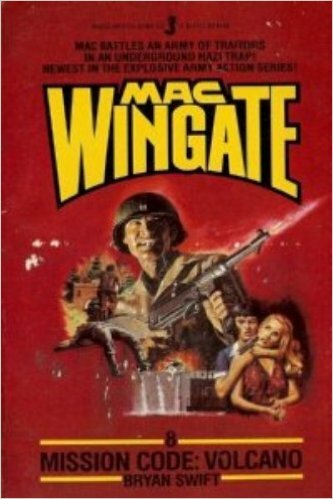 Casablanca, Albania, Crete, Corsica, Warsaw, Norway, Salerno, the Russian front, Anzio and anywhere Nazis threaten freedom, Mac turns up and blows stuff up. 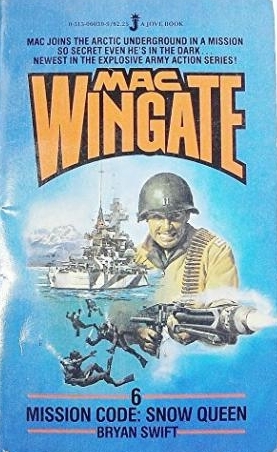 Arthur Wise wrote the first and seventh books in the series with the nine books split between western writer Bill C. Knott and Ric Meyers—master of martial arts thrillers and many of the Dirty Harry books inspired by the movies. 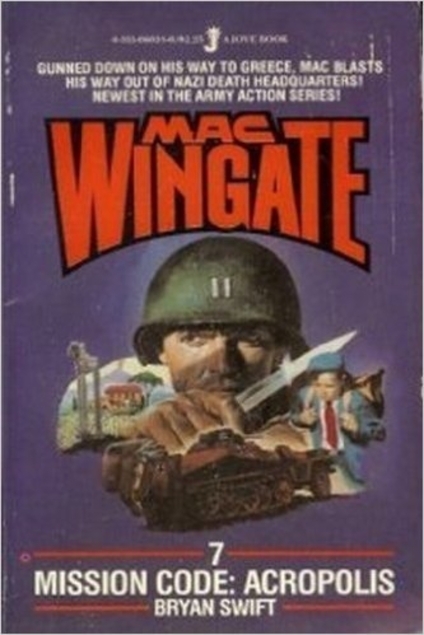 I had total freedom in plotting and creating my entries and truly enjoyed hinging the plot on actual WWII events—especially ones where something anonymous, unexplained, or mysterious happened, which I could then attributed to Mac. I also will always remember it was on this series where I had the first instance of a character talking back to me. I was certain I was going to let one character live until she entered my mind and said, you know I have to die, don't you? Sure enough she did. 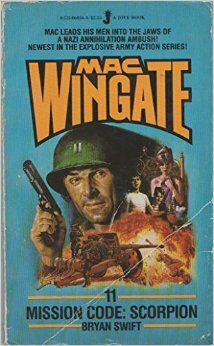 I also loved creating a character who had seen so many war movies he refused to make any hopeful statement such as, nothing can stop us now! 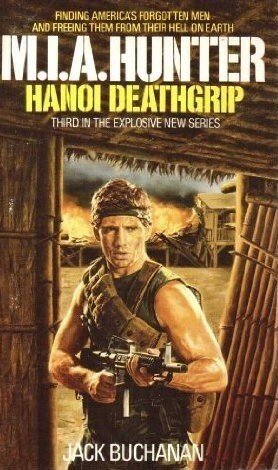 Invariably, in the movies, that character is immediately killed by an enemy soldier who's not quite dead yet. I sorta regret having my character, in a moment of uncontrollable emotion, make the stupid statement he has tried so hard not to say and then gets killed. I shoulda let him live. From the European theatre of WWII, we now fast forward to the fallout from the Vietnam War. The M.I.A. 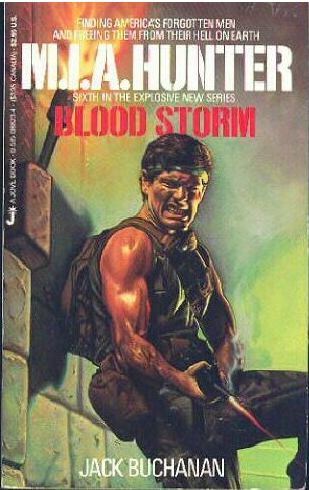 Hunter series led the charge for many similar themed books and movies starring either Sylvester Stallone or Chuck Norris. Conceived and edited by wordslinger extraordinaire Stephen Mertz—and written by some of the top names in the paperback original trenches under the house pseudonym Jack Buchanan—M.I.A. 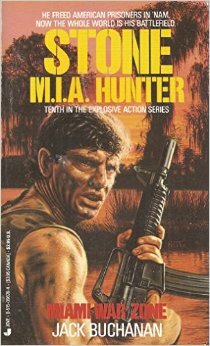 Hunter deals honorably with the genuine ‘80s concern there were living American M.I.A./POWs left behind after the end of the Vietnam War. Anecdotal evidence was rife unfortunately (or fortunately) solid proof never materialized. The sentiment, however, funs strong and you can still see the black M.I.A./POW flags flying today. The M.I.A. 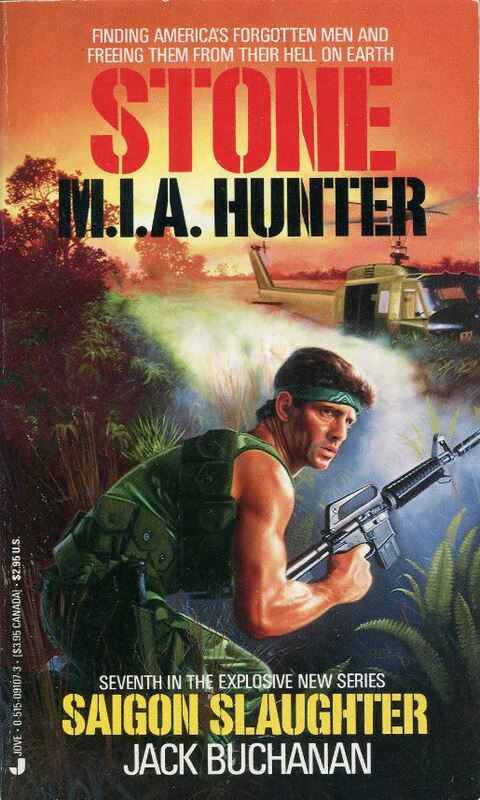 Hunter is Green Beret and former POW Mark Stone. 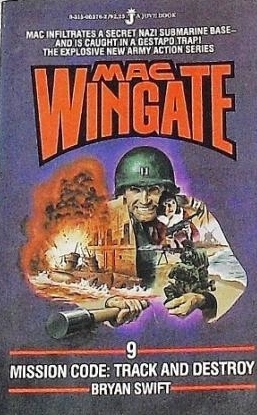 Along with giant red-headed Texan Hog Wiley and British demolition expert Terrence Lloughlin, Stone follows every clue to scour Vietnam for soldiers listed as Missing In Action. 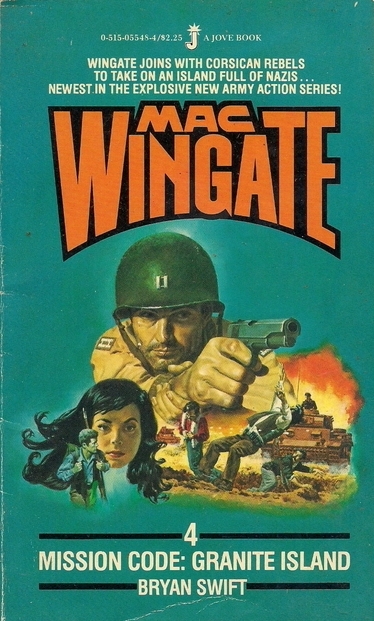 In later books, Stone and company expand into other countries and even take on work to help the CIA locate missing agents. 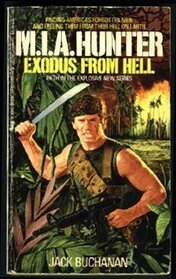 Over at his GLORIOUS TRASH blog, Joe Kennedy describes the series as an '80s action movie on paper. 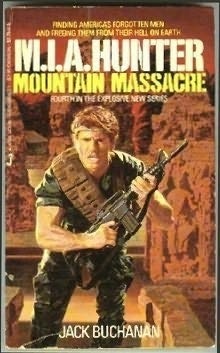 It's as if it was co-published by Canon Films or something. My Mack Bolan novel, Return to Vietnam, pretty much knocked people out when it first appeared. 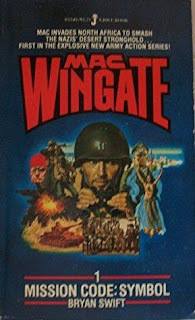 The book was a tremendous success and made several trade bestseller lists. An editor at Jove saw the potential and asked me to sketch the M.I.A. concept as the basis for a series. 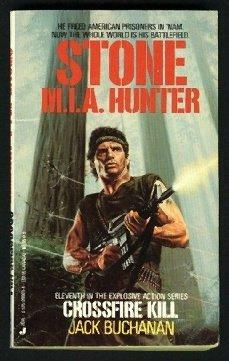 Jove liked the characters of Mark Stone, Terrance Loughlin and Hog Wiley, and The M.I.A. Hunter was born. 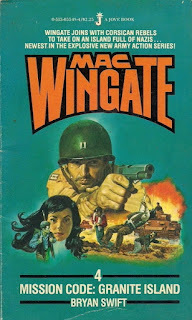 Interestingly, the books ended up resonating with a broad audience of readers beyond the general men’s series readership. Mertz has taken advantage of the e-book format to not only make all the M.I.A. 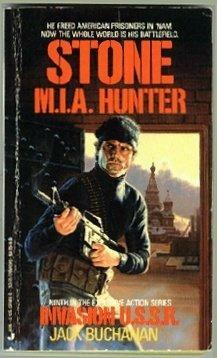 Hunter books available, but to also—after twenty years—add new titles. As for the time gap, Mertz says, Stone will remain at the age when he’s in his physical prime, in the time honored tradition of Mack Bolan, Mike Shayne, and many others. When an M.I.A. 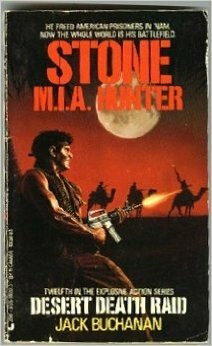 mission goes terribly wrong, Mark Stone and his team are thrust into a showdown with terrorists who have seized control of an isolated Texas border town. But the invaders have not counted on the fury of Mark Stone, Terrance Loughlin and Hog Wiley. 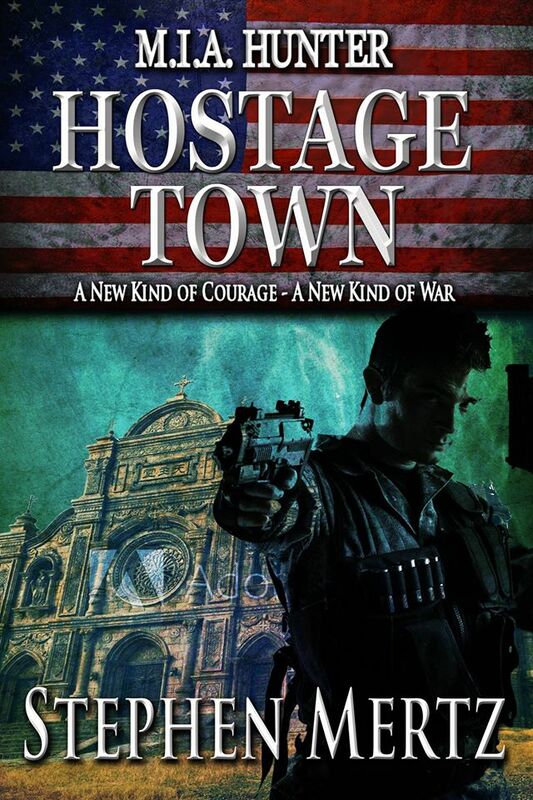 It’s a deadly race against time to rescue a church full of innocent hostages when world terrorism strikes the American heartland. 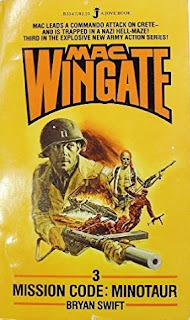 In his review of Hostage Town, James Reasoner (an amazingly prolific wordslinger himself) states, nobody does this sort of book better than Mertz. 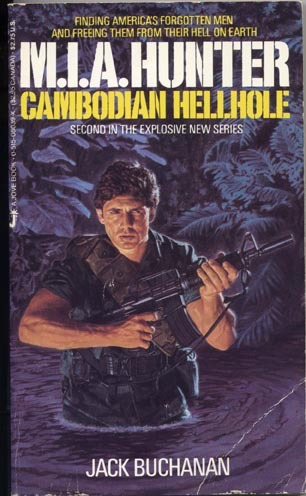 Compelling characters, fast action, a real sense of urgency and suspense. 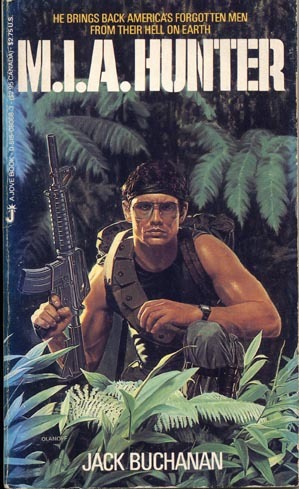 He's one of the best adventure writers of our time, plain and simple. Highly recommended.